My Blood Values Came Back! So my blood values came in. Being ketogenic most of the time, there is an interest to see what it happening. Also, as you may remember, I jumped on the Iodine therapy suggested by David Brownstein, so highly curious to looking at the thyroid values. History: I was “caught” in a company screening in 2001 as being low, with T3 at 1.5 and T4 at 1.3, TSH at 3.8, and have had TSH at 8.8 in 2011 (see units and ranges below.) The endocrinologist wanted to put me on Thyroxin replacement. I took a route with acupuncture and Chinese herbs, which did a good job within 2 months. 2. Having read Brownstein’s book (see below), 2 conditions that would improve sparked my interest: Dupuytren’s Contracture, which I have in my hands, and the benefits for prostrate health – all ok, and want to keep it that way. From self-observation, with the iodine I experience higher levels of energy, what is easy to get used to. My wife notices the same, and notices that “bumbs” under her armpits are disappearing. Well, the effect is there – in the TSH which is beyond any measure. My GP called me to discuss the values. What could be the cause? 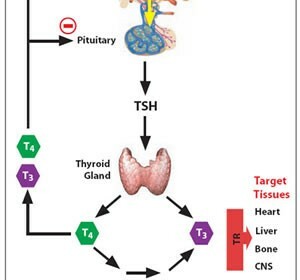 Well, Brownstein explains in his book, that TSH (Thyroid Stimulating Hormone, produced by the Pituitary gland, does more than just affect the Thyroid gland. Still, I wanted to know more. 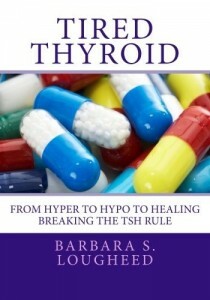 I researched further, and found Barbara Lougheed’s 2014 book “Tired Thyroid” – an amazing piece of work. It shows how little training doctors get in the endocrinology (in fact, the same training I got as a pharmacist in Leiden.) Also, because it breaks some of the myths about Thyroid conditions and how to treat them. 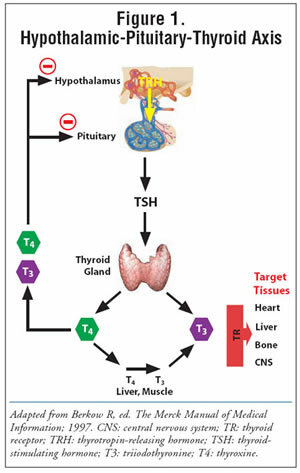 For instance, that using TSH as a guide for the thyroid hormone dosage is a total misnomer. Also, it shows how the thyroid is influenced by antipsychotic drugs, and how asthma and allergies, high blood pressure are misdiagnosed, and can be caused by hypothyroidism. Highly recommended. That the iodine project was started by Dr. Guy Abraham in 1998, to do studies through his company Optimox, which sells Iodine tablets called Iodora, suggesting a conflict of interest. Brownstein suggests 12.5 mg, others 2-3 mg, and at least 3 mg per day in case of cancer. Continue iodine (Lugol’s solution). There are too many reasons to do so. Lowering My Dosage of Lugol’s to 2 drops a week. Update 3 June 2015: Having read a further5 chapters in the “Tired Thyroid” from Barbara Lougheed on the effects of Iodine suppletion and the diverse effects it can have when too high (she calls it “Russian Roulette”, and it is about the 50mg Iodoral dosage) I have decided to move to the lower dosages that are suggested, in the mg, rather than 50mg range. With 2 drops of the 5% Iodine (12.5% Lugol’s solution) that I used to take, lowering to 1 drop a day would amount to about 6mg. So I have moved to 1 drop twice a week, which brings me to about 12mg per week. This also because the Iodine clearance in the iodine challenge test takes 3 days, in stead of one day, as Barbara’s research shows. The chances of developing hypo- or hyperthyroidism with too high a load, which Barbara suggests based on reports on all kinds of iodine forums. Giving my body a chance to redistribute the iodine over my body, before it gets another load. Just to confirm again: take your own decisions, consult with a specialist. This is my personal n=1 experience I am reporting on. Let me know what you think. I will keep you posted. Do not do what I do without involving a doctor that is open to a wider view.